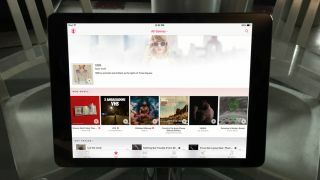 The Apple Music subscription service brings limitless song streaming to the seemingly endless iTunes library. And the first three months are free! But once the trial is over, you're set to auto-renew at monthly charges of $9.99/£9.99/AU$11.99 (individual plan pricing) or $14.99/£14.99/AU$17.99 (family plan pricing). That provides easy, uninterrupted service if you want to continue as a paid subscriber, but what if you don't? Not to worry: you can cancel the auto-renew at any time without affecting your free trial, and it couldn't be easier. Your Apple Music subscription can be managed on the Account Settings screen. On an iPhone or iPad, go to Settings > App and iTunes Stores (iTunes & App Store in iOS 8), and open your Apple ID. Next tap "View Apple ID" and type your Apple ID password to reach the Account Settings screen. Scroll down until you reach Subscriptions, and tap Manage. Here you'll find everything you're subscribed to, from Apple Music to magazines. Tap your Apple Music membership to bring up details about this subscription. Here you can toggle off auto-renew, or subscribe at any time if you decide to do so. On a Mac, you'll want to go to the Manage Subscriptions screen in iTunes. On a Mac, open iTunes and click on the silhouette at the upper-right that sits next to the search field. In the little Account window that pops up, select Account Info. Type in your Apple ID password to open the Account Information screen; under the Settings category at the bottom, you'll find Subscriptions. Click Manage in the adjacent column to pull up the Manage Subscriptions screen, which lists Apple Music along with other subscriptions you may have for magazines, HBO Now, etc. Click the Edit link next to your Apple Music subscription, and you'll easily spot the option to turn off auto-renew. And that's it! Now there's no chance you'll be charged at some future date, so you can enjoy your free trial of Apple Music worry-free.